P. Angelides & Co offers a range of services includes citizenship schemes and permanent residence schemes in Europe. We act on behalf of our clients from the process of buying a property or making the investment up to the process of getting the citizenship or permanent residence. We emphasise on close cooperation with our clients to deliver highly personalized service for safeguarding their interests during the whole process. -Foreign Controlled, low tax European Union Companies as gateways for international, cross border investments and business activities. Non-EU nationals wishing to reside and work in Cyprus need to apply to the Civil Registry and Migration Department for a Temporary Employment and Residence Permit. These Permits are usually issued for a period of 1-2 years but become void if the holder is out of Cyprus for more than three continuous months. They can be renewed upon expiry. Non-EU nationals wishing to reside permanently in Cyprus can do so by applying for an Immigration Permit on the basis of the categories in which they are divided according to the reason they seek to obtain permanent residence in Cyprus. This Permit is granted for an indefinite duration to non-EU nationals who comply with the requirements of applying under each category. The Immigration Permit grants non-EU nationals, as well as their wife or husband and children under 18 years old, the right to permanently reside in Cyprus and travel to Cyprus without immigration entry procedures. 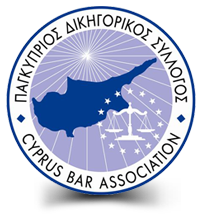 P. Angelides & Co LLC helps its clients who meet the requirements to obtain Cypriot citizenship through the drafting of the necessary paperwork and throughout the whole procedure.